Suddenly we can”t keep in stock the DOT 4 brake fluid so I asked around. 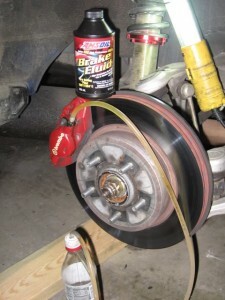 Seems at the RPM road course, the Subaru club, Autocrossers, etc – all are using our brake fluid. Thanks for the added business! Anyway I did some searches and one forum they expressed how it does stay firmer under hard use compared to the Motul product. 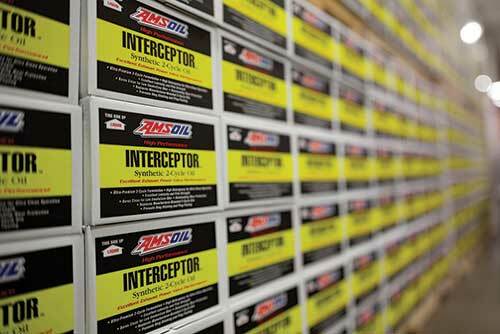 The department heads at AMSOIL located in Superior, Wisconsin are serious gear heads themselves and have all the knowledge and of course the drive to make the best version out of anything so why not brake fluid? We have the typical DOT 3 and DOT 4 but in a synthetic version which can take moisture better w/o brake fade. AMSOIL DOT4 Brake Fluid – Track Review! And of course you can pick up a supply at our 4211 S. 84th St. store here in Omaha. Most people buy three. Pulled the car down to ~3280lbs and running either 310whp or 350whp depending on the event. I started trailoring the car this year as well, and that means I’m pushing it that much harder with the confidence of towing it home…just in case. Mid-year I had a few offs because of boiled fluid. I think this was partially due to lack of airflow in the routing of my forge cooling ducts. But I really think the Motul should have handled it. One of these was a very scary departure where I left the track at 94mph (via traqmate) and was just fortunate there was enough runoff to slide to a stop. 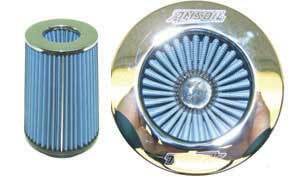 I switched the car to AMSOIL engine oil. See thread HERE for more info. I also learned they had a DOT4 brake fluidthat was similar to Motul. Since I had some issues already with losing my brakes and/or a soft pedal and the constant need to bleed, I figured I’d give it a shot as the specs were very similar. So I called up our local forum expert – Andy (apagan01) on the forums – and placed an order. My first event with the AMSOIL DOT4 fluid was last weekend at BlackHawk Farms Raceway in Northern IL – nearly Wisconsin. Blackhawk is known as a brutal track on the brakes so it was going to be a great test. It was also forecasted to be around 95+ with a heat index of 105+. Not once the entire weekend did I have an issue with the pedal. I ran full 15-20min sessions (4-5 per day) and I ran them hard. I would have usually had a slightly soft pedal and would have spent Sat evening bleeding the brakes – but I didn’t bother. Instead just had a and relaxed. Dry equilibrium reflux boiling point (ERBP) – the boiling point of new, freshly-opened, unused fluid. 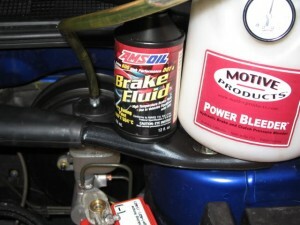 Wet ERBP – the boiling point of a brake fluid after it has absorbed three percent water. 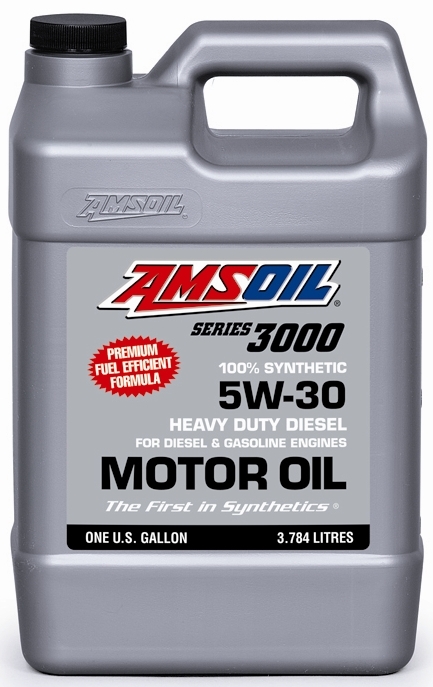 AMSOIL Series 500 DOT 3 High-Performance Synthetic Brake Fluid and AMSOIL Series 600 DOT 4 Synthetic Racing Brake Fluid feature pure base stocks and robust additives that resist boil-off and the effects of water contamination more effectively than conventional brake fluids. AMSOIL Synthetic Brake Fluids deliver superior high-temperature performance in auto/light-truck, high-performance, racing and powersports applications. Water contaminates the brake system by seeping through microscopic pores in flexible brake lines and seals and through the reservoir fill cap when opened. Once inside, it quickly works to corrode brake parts, lines and seals, leading to eventual system failure. AMSOIL Synthetic Brake Fluids keep water in suspension, slowing its corroding effects. They lubricate and protect intricate braking components despite the inevitable water absorption associated with braking systems, delivering long-lasting performance. The extreme pressure and high heat common to braking can push conventional brake fluid beyond its boiling point, causing it to vaporize, or ?boil-off.? Even more problematic, water contamination can drop the boiling point of conventional fluid below safe standards, accelerating the rate at which it boils off. This leads to a spongy or unresponsive feeling in the brake pedal. In contrast, the unique chemistry behind AMSOIL Synthetic Brake Fluids increase their boiling point temperatures well beyond Department of Transportation (DOT) standards even when contaminated with 3.7 percent water (see chart). They maintain a stable viscosity over a wide temperature range and flow easily at the high pressures generated in today’s automotive brake systems to deliver consistent, safe braking. AMSOIL Series 600 DOT 4 Synthetic Racing Brake Fluid features a wet equilibrium reflux boiling point (Wet ERBP) nearly 100°F higher than the DOT minimum, making it ideal for high-performance cars, motorcycles and vehicles used for towing. Try out all our products for your race ready street car. Although we have racing oils that were originally made and intended for Formula 1 and NASCAR racing, our Signature Series is just about as good and is a common choice for constant road racing and autocross too. 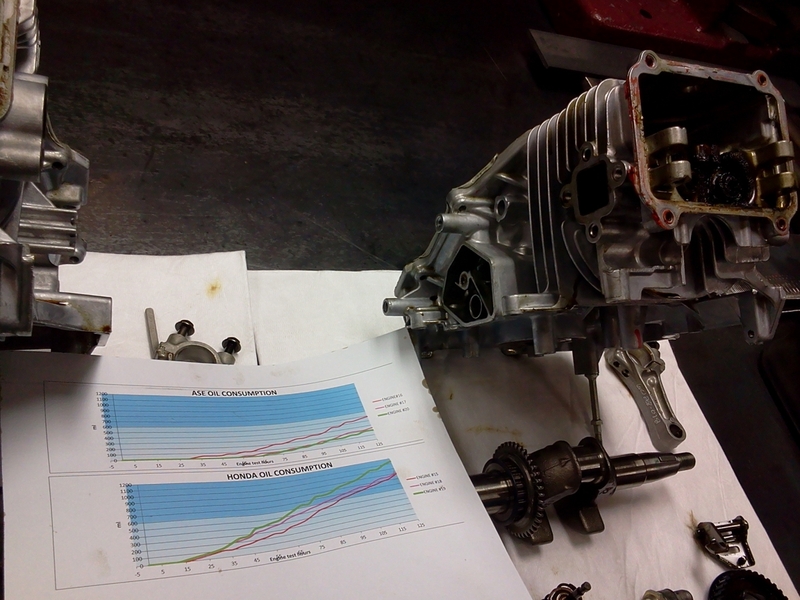 Use our Power Foam to restore intake performance, PI in the fuel system, our Severe Gear was designed to solve thermal runaway on the Pikes Peak Hill Climb and the products go on! Stop in the Omaha store and see all the great products for all applications from power sports to commercial yard equipment.